The reporters alleged that world health organisation authored the research that confirmed or suggest a correlation or causal relationship between the use of cell phone and development of cancer. So, a friend shared this short clip of two CNN reporters frantically discussing cell phone as a possible cause of cancer. Radiofrequency or radio wave was named as the culprit. As a radiographer with twelve years practising experience, and a Master degree in Medical Magnetic resonance imaging, I think I know a thing or two about radiofrequency; hence I was alarmed by this clip. The relationship between my job and the topic is? Well, MRI uses radiofrequency pulse to generate images. Thus, I thought I better update my knowledge about the cancer-causing effect of radiofrequency or cell phone. As you do, the first point of call? Google, of course, because WHO, cell phone and cancer were mentioned in the clip, I decided to use these words as my search term. Indeed Cell phones emit radiofrequency energy (radio waves), thus, tissues nearest to the antenna can absorb this energy. This is a long established fact. Many studies have examined the potential health effects of non-ionizing radiation from radar, microwave ovens, cell phones, and other sources. All of the above are in the same spectrum as a radio wave. Radiofrequency energy does not cause DNA alteration which is necessary for cancer formation. The only consistently observed biological effect in humans is tissue heating. Studies carried out on animals revealed Radiofrequency does neither cause cancer nor enhance cancer-causing effects of known carcinogenic chemicals. No statistically significant increases in the brain or central nervous system cancers related to higher amounts of cell phone use. Self-reported cell phone use was not associated with an increased risk of glioma, meningioma, or non-central nervous system tumours. The Interphone study was conducted by a consortium of researchers from 13 countries. The data came from questionnaires that were completed by study participants. The Danish study conducted in Denmark linked billing information from more than 358,000 cell phone subscribers with brain tumour incidence data from the Danish Cancer Registry. The Million Women study was conducted in the United Kingdom. The study used data obtained from questionnaires that were completed by study participants. What about the impact on Children? Thus far, studies of the exposure of children to cell phone usage and development of cancer did not reveal a relationship between the two. The first published analysis came from a large case-control study called CEFALO, which was conducted in Denmark, Sweden, Norway, and Switzerland. The study included children who were diagnosed with brain tumours between 2004 and 2008, when their ages ranged from 7 to 19. Researchers did not find an association between cell phone use and brain tumour risk either by time since initiation of use, amount of use or by the location of the tumour. The International Agency for Research on Cancer (IARC), a component of the World Health Organization, appointed an Expert Working Group to review all available evidence on the use of cell phones. 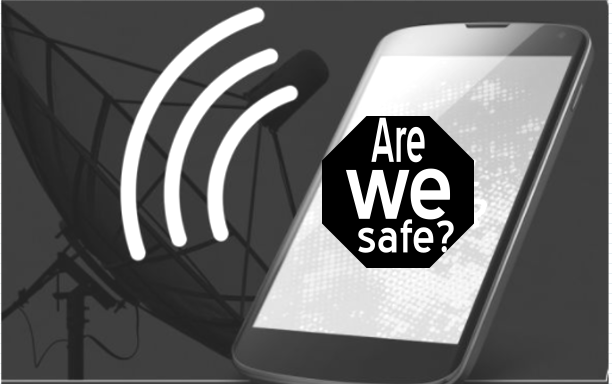 The Working Group classified cell phone use as “possibly carcinogenic to humans,” based on limited evidence from human studies, limited evidence from studies of radiofrequency energy and cancer in rodents, and inconsistent evidence from mechanistic studies. The American Cancer Society (ACS) states that the IARC classification means that there could be some cancer risk associated with radiofrequency energy, but the evidence is not strong enough to be considered causal and needs to be investigated further. Individuals who are concerned about radiofrequency energy exposure can limit their exposure, including using an ear piece and limiting cell phone use, particularly among children. The National Institute of Environmental Health Sciences (NIEHS) states that the weight of the current scientific evidence has not conclusively linked cell phone use with any adverse health problems, but more research is needed. The U.S. Food and Drug Administration (FDA) notes that studies reporting biological changes associated with radiofrequency energy have failed to be replicated and that the majority of human epidemiologic studies have failed to show a relationship between exposure to radiofrequency energy from cell phones and health problems. The U.S. Centers for Disease Control and Prevention (CDC) states that no scientific evidence definitively answers whether cell phone use causes cancer. The Federal Communications Commission (FCC) concludes that no scientific evidence establishes a causal link between wireless device use and cancer or other illnesses. In 2015 the European Commission Scientific Committee on Emerging and Newly Identified Health Risks concluded that, overall, the epidemiologic studies on cell phone radiofrequency electromagnetic radiation exposure do not show an increased risk of brain tumours or of other cancers of the head and neck region. The Committee also stated that epidemiologic studies do not indicate increased risk for other malignant diseases, including childhood cancer. It should be of note that the most recent publication on WHO’s website was published in 2014 and it state “WHO will conduct a formal risk assessment of all studied health outcomes from radiofrequency fields exposure by 2016”. No newer publication available to invalidate current and existing knowledge on radiofrequency. The particular publication referred to in the CNN broadcast was not found, but that is not to say it does not exist. Sometimes, big media houses do have access to studies outcome even before publications. In conclusion, we think according to available information, there is no conclusive evidence of correlation or causal relationship between the use of cell phone and development of cancer, however, health agencies are advising us to take a precautionary approach by limiting the duration of use of cell phone or making use of accessories such as headset or Bluetooth.